Posted on December 12, 2016 by Edge Leisure	in Newsfeed and tagged Edge Leisure, Infinity edge pool, Swimming pool. Winter is fully upon us now, the weather is not nice, all you want to do is t get out the country to a warmer more beautiful place. To give everyone that escape during these wet and cold months we have gone right ahead and stuck together a few shots of our favourite Infinity pools, because why not eh. You’ll find each below, tethered to a brief explanation, and remember, Edge Leisure are primed and ready to bring you beautiful pools just like these in time for the summer! A real summer, with sun and everything! Enjoy! Now there’s an image. 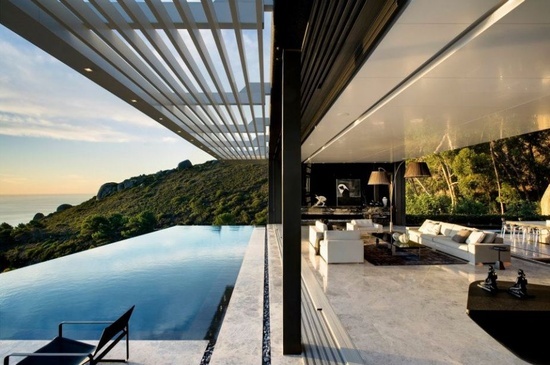 This gloriously inviting photo is of a British couple’s home (that’s right, they live here) in Cape Town, South Africa. If it’s not enough to have a living space looking directly out onto a truly incredible sea, why not have your own personal slice of the water ready for you to take a dip as you see fit! Luxury, thy name is Los Angeles. A hilltop LA apartment is enough to cause many of us to flail our arms wildly in the air yearning for such a getaway, but factor in this glorious Infinity Pool, affording occupants the opportunity to be swathed in the deep blues and setting suns of the city as they swim right to edge and look out upon the panorama, and we think we know people who’d sell their own relatives for a glimpse of this. Infinity Pools are often used to intertwine the breath-taking visual of an encompassing seascape and your very own swimming pool, fluently joining the two together in jaw-dropping matrimony. 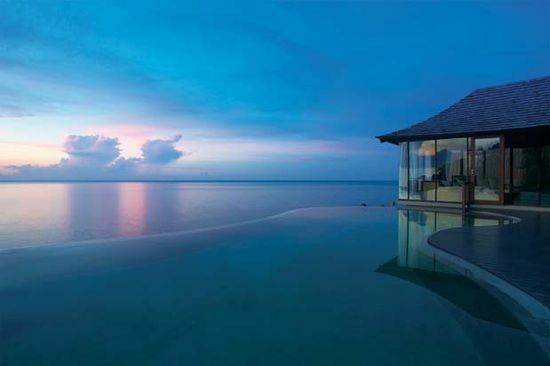 We think it’s safe to say this, the Silavadee Resort in Thailand, hits that description with painstaking accuracy. And lastly, the Infinity Pool by which all other Infinity Pools are measured, at least in terms of sheer lunacy, the Marina Bay Sands pool sees its patrons enjoy a relaxing swim against the awe-inspiring backdrop of the Singapore skyline some 55 storeys high! A sight to behold, this most certainly is. So get ready for the summer, and whether you’re looking for adept and bespoke, luxury swimming pool construction, or if you’re simply after the proper maintenance to get your pool renovated and reopened in time for the sun, we at Edge Leisure can supply. Pick up the phone and try 01494 484 888 today!